Whether it’s for breakfast or during the mid-afternoon slump, we all need an energy boost at some point during the day. When you’re feeling particularly groggy, energy bites can be a real lifesaver. These delicious little treats are easy to make, and you can make a large batch all at once so you’ll always have something healthy to munch on in a pinch. Most of them have very few ingredients, and all of them are no-bakes, so you won’t even have to heat up the oven. What could be easier than that? Yum! 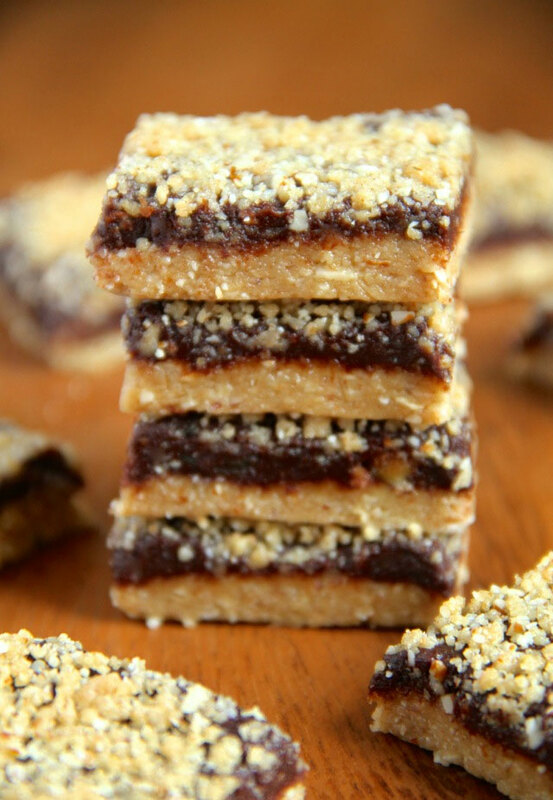 These oatmeal fudge bars are made with rolled oats, almond flour, raw almonds, and dates. To make them, you’ll blend and layer the ingredients in a pan, then refrigerate them and cut them into bars. Make sure to keep them refrigerated – that is if there are any left! Get the recipe at Running With Spoons. You won’t believe these aren’t cookies. 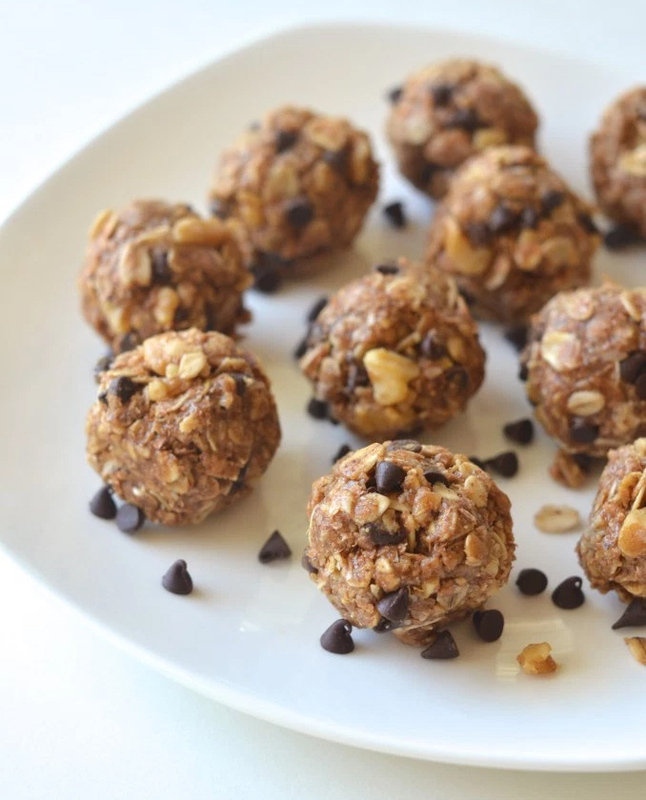 These bites are made with oats, wheat bran, walnuts, and chocolate chips. All you have to do is mix up all the ingredients and roll it into bite-sized balls. You don’t even have to refrigerate these ones before eating. Get the recipe from Apple Of My Eye. This recipe is actually adapted from a classic no-bake cookies recipe, but is much healthier. 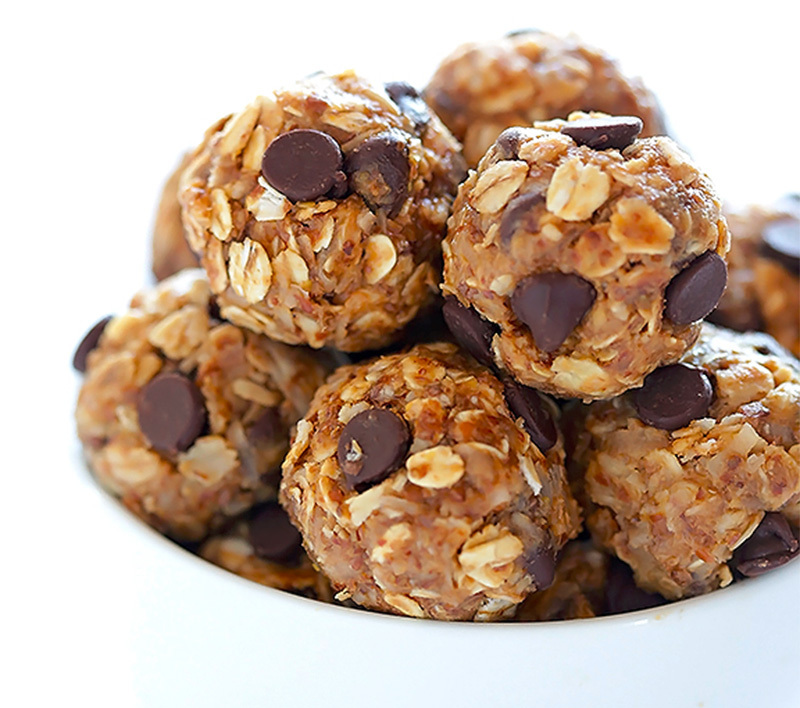 All you need is chocolate chips, flaxseeds, peanut butter, and honey. Tip: These actually taste better if you store them in the freezer instead of the fridge. Find the recipe at All Recipes. Everything is better with coconut, especially chocolate energy bites. 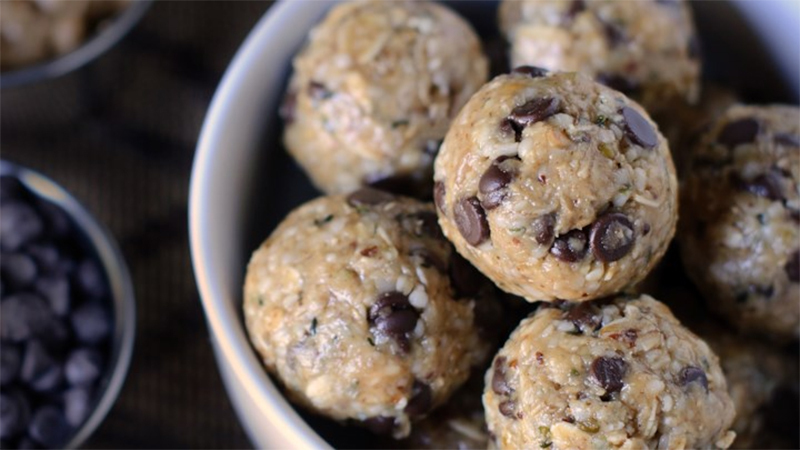 This recipe uses chocolate chips, coconut, peanut butter, oats, and flaxseeds for a hearty bite-sized snack that tastes delicious and gives you all the energy you need. Get the recipe at Gimme Some Oven. 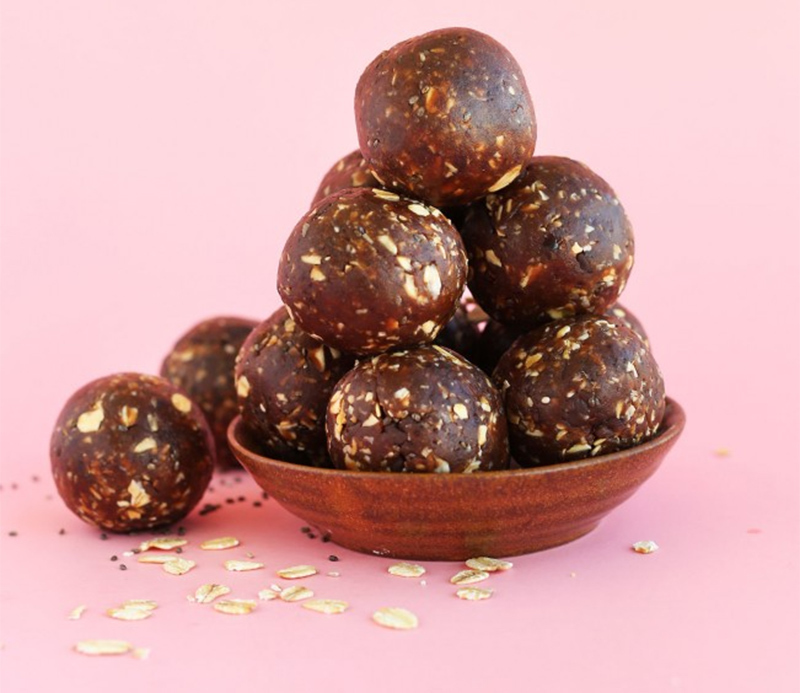 Made with dates, peanut butter, chia seeds, oats and chocolate, these little bites only take about 15 minutes to make from start to finish. Just blend everything, roll it into balls, then throw them into the fridge or freezer. Get the recipe at Minimalist Baker. 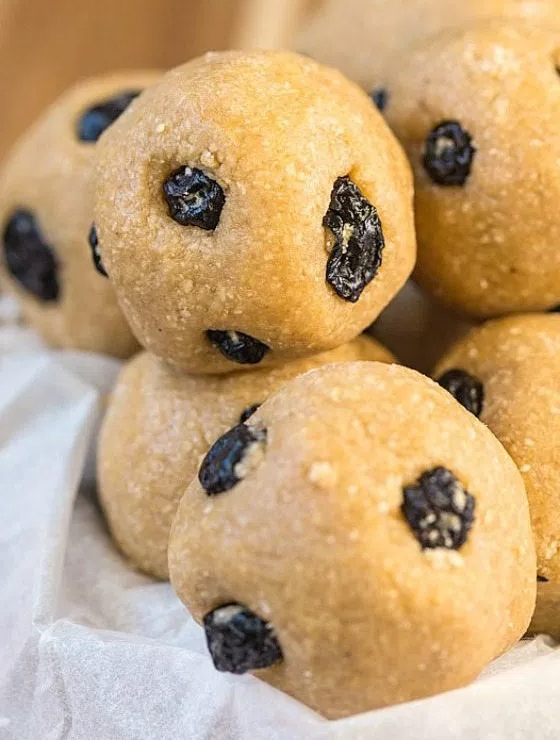 If you’re a fan of raisins, these bites make for the perfect snack. Crunchy, chewy and full nutrients, all you have to do is combine rolled oats, coconut flakes, flaxseeds, chocolate chips, raisins, and peanut butter. Let chill in the fridge for an hour, then roll it into balls and enjoy. Get the recipe at Momables. They may not sound like a healthy snack, but these “carrot cake” bites are shockingly good for you. Made with whoelsome ingrdients like Medjool dates, apricots, applesauce, coconut flour, carrots, and rolled oats, the coconut is actually used to coat the balls to give them a flaky and sweet outer crust. Get the recipe at Running With Spoons. These bites capture all of the deliciousness of blueberry muffins in a healthy, no-bake form. You’ll need dried blueberries, oat flour, nut butter, and almond milk – and that’s it! Get the recipe from The Big Man’s World. 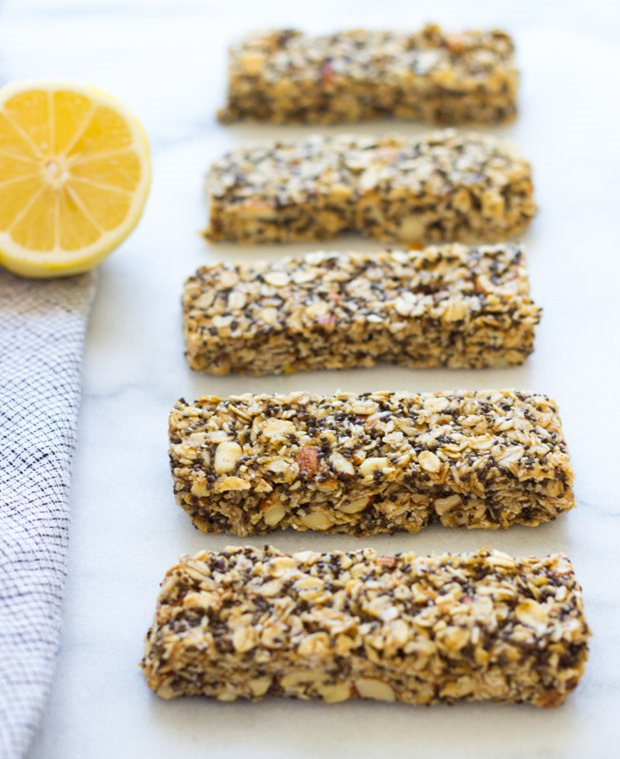 While these are not technically “bites,” they do serve the same purpose, and they are just as easy to make, with ingredients like rolled oats, coconut, almonds, chia seeds, and raw honey. You’ll need a stovetop for this one, but it’s well worth the extra step. Get the recipe at Making Thyme For Health. 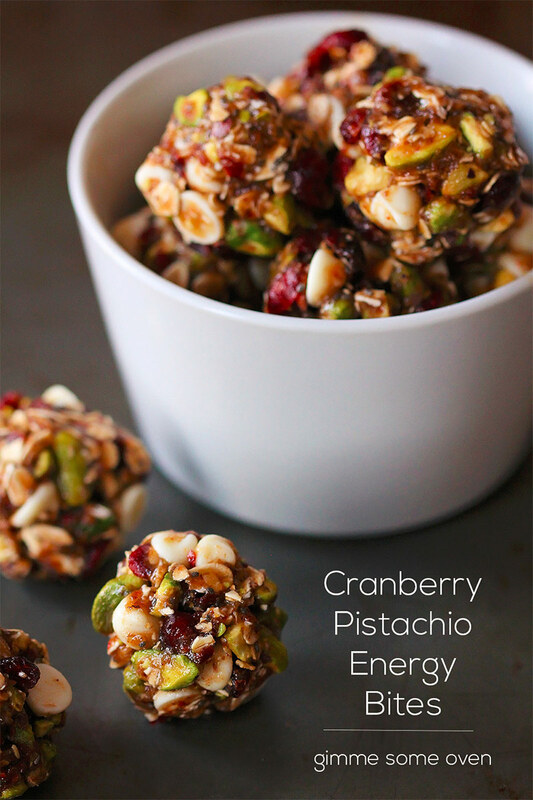 Cranberries and pistachios are a natural pairing that taste amazing together. These energy bites require dates, chia seeds, flaxseeds, oats, pistachios, cranberries, and chocolate chips. 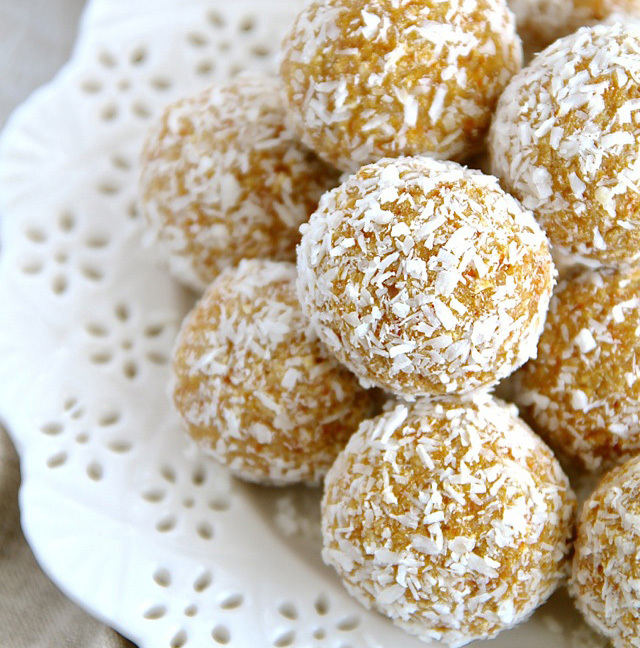 All you have to do is combine all the ingredients in a bowl, refrigerate it, then form it into bite-size balls. Store them in the fridge to keep them fresh. Find the recipe at Gimme Some Oven. If you’ve read through all the recipes, I’m sure you’re beginning to see a pattern. Try to experiment and see what recipes you can make on your own!